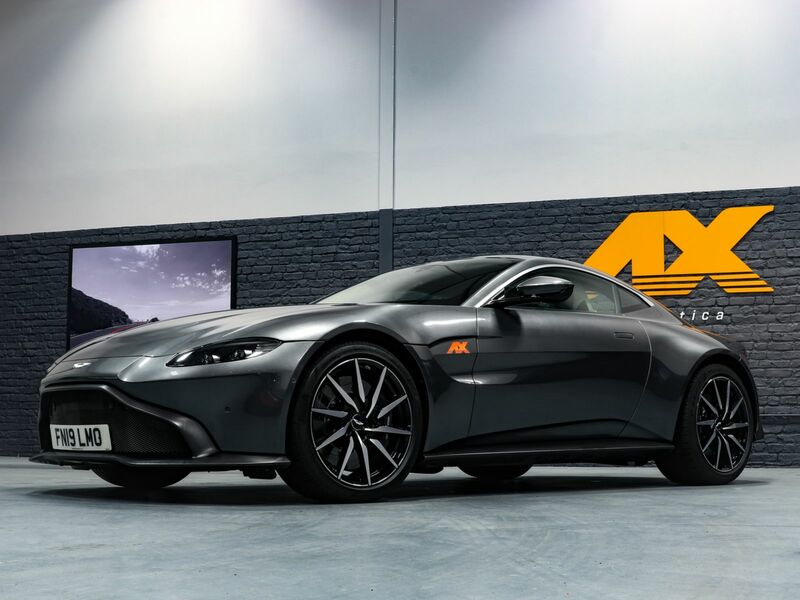 Supercar Hire, the Donington Park based exotic car stable, recently added the all-new Aston Martin Vantage to its acclaimed collection of supercars for hire. Whilst the Vantage shares a shortened platform with the luxury cruiser DB11, it’s a far punchier, more focussed sports car. With a razor sharp gearbox and a lightning-fast rear differential, the Vantage is a responsive, exciting, performance monster. The V8 engine develops 503bhp and 505lb ft of torque. Which translates to 0-62mph in just 3.6 seconds and an astonishing top speed of 195mph. Striking a perfect balance in the modern sports car market, the Vantage is shorter than a Porsche 911 and firmer than a DB11, offering instantaneous responses from its taut chassis and driving thrills galore. As an Aston Martin, it also has gorgeous styling and epic GT car capabilities - with a luxury interior and thoroughly modern cockpit. The new Aston Martin Vantage is a clear step up from the previous generation, with Supercar Hire’s Managing Director stating “This brand-new Vantage, with its gorgeous new lines, exquisite interiors, and radically updated cockpit, truly out-performs the older model in every way possible”. With close proximity to the Peak District and access to some of Britains best driving roads, Supercar Hire provides the ideal platform from which to launch an adventure in the latest car from James Bond’s manufacturer of choice. Whether you want an epic road trip or to celebrate a special occasion, Supercar Hire offers access to the world’s best vehicles. This press release was distributed by ResponseSource Press Release Wire on behalf of Supercar Hire in the following categories: Men's Interest, Leisure & Hobbies, Motoring, for more information visit https://pressreleasewire.responsesource.com/about.